MarketDecompression.com was created by Drs. 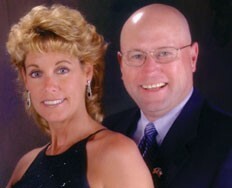 Cynthia Vaughn and James Edwards and is the only decompression marketing program endorsed by the Kennedy Decompression Technique. The marketing program includes a decompression website, 500 brochures, Alert Emails, newspapers ads, radio spots, 19 MD letters, clinical studies, coding advice, patient agreements and much more. The Market Decompression resources CD in-cludes the “Top 20 List” of Marketing Ideas...based on cost effectiveness and more. There is a detailed discussion about proper coding, billing and collection procedures. There are two different coding and billing options for your office — both of which are 100% compliant, ethical and legal. The official spinal decompression policies of multiple insurance carriers are in-cluded. A discussion of billing fraud and how to avoid it addresses the unsupported claims being made about spinal decompression therapy so you can avoid a state board complaint. A rational basis for the number of sessions to recommend as well as de-tails about how to insure compliance for maximum patient benefit are covered. The CD includes the absolute best way to help patients finance the cost. It also features a discussion about the extreme im-portance of the internet and how to attract patients who are searching the web for this type of treatment. Also included is a press re-lease announcing the Addition of Spinal Decompression Service as well as a second one announcing your “Certified Practitioner” status after completing the Kennedy Decompression Technique Course. A copy of an agreement letter for Insured Patients is included along with a spreadsheet file with calculated fields that will detail your treatment plan and the out-of-pocket expense for insured patients. A copy of an agreement Letter for Medicare Patients is included along with a spreadsheet file with calculated fields that will detail your treatment plan and the out-of-pocket expense for Medicare patients. And a third copy of an agreement letter for cash patients is also included along with a spreadsheet file with calculated fields that will detail your treatment plan and the cost for cash patients.